Character Backpacks Just $6! PLUS FREE In-Store Pickup! Down From $10! You are here: Home / Great Deals / Character Backpacks Just $6! PLUS FREE In-Store Pickup! Down From $10! 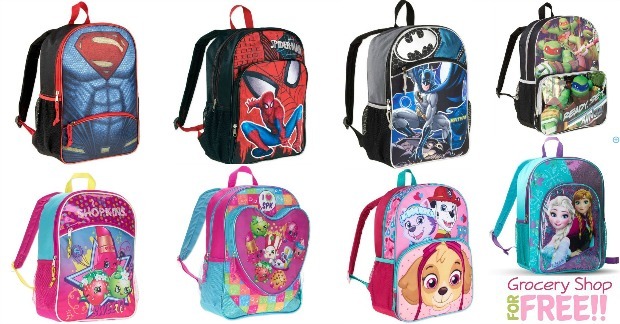 You can get these fun character backpacks for just $6 at Walmart, right now! PLUS you can get FREE in-store pickup, too! There are a LOT to choose from, so be sure to check them all out! Shipping is also FREE on orders over $50.